Our last issue was focused almost entirely on Christmas, as the season was just about to arrive in Cape May. Now that we’re in the middle of the Christmas season, I wanted to share a photo or two, and perhaps a gift suggestion, then focus on the seasons that lie ahead of us. There are lots of exciting things coming up! This photo was taken by Dorothy, one of our favorite guests, who spends every Thanksgiving weekend at The Queen Victoria. 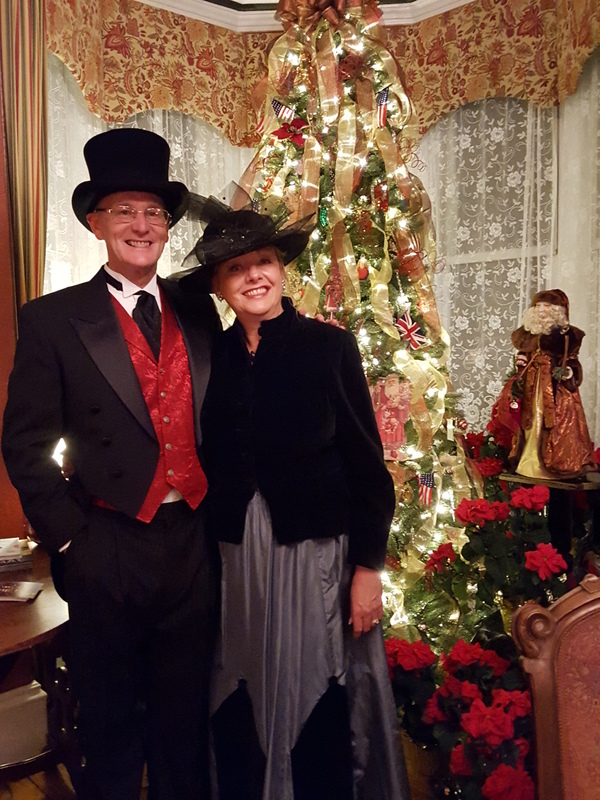 Anna Marie and I sometimes get dressed up in our Victorian Era costumes for the bigger Christmas tours, and this was taken during the first “Lamplighter” tour of the season. It is a fun photo which manages to convey the festivity of the season that is found at The Queen Victoria every year. If you’ve been waiting for me to feature the King Edward room again, then you’ve been incredibly patient. I just realized that it has been 7 years since I last featured it, in 2008. I’m not sure why I’ve been keeping it from you like that, as it is most certainly one of my favorite rooms. It is most definitely one of our nicest rooms. 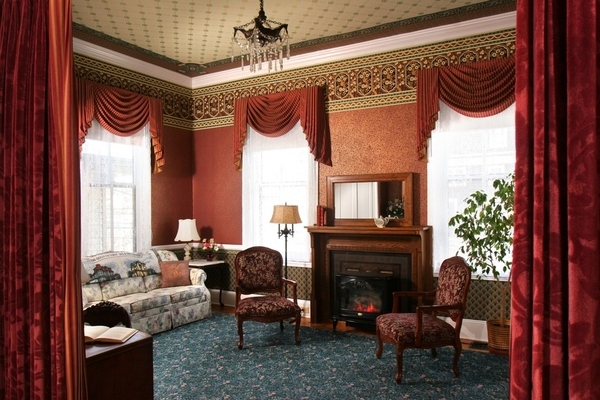 King Edward is a large suite on the second floor of the House of Royals building. When I say large, I really mean it. It occupies half of the second floor of that building! The word that comes to mind when I consider King Edward is “impressive”. Beyond the scale of the room, including it’s towering 13.5 foot ceilings, there is the dramatic effect of the wall coverings, which are found throughout (including that high ceiling in the sitting room). Even the bathroom is large in this room. Let’s talk specifics. King Edward features a huge sitting room with two seating areas, a wet bar, a writing desk, and a beautiful antique oak armoire/entertainment center. Another of King Edwards best features is the very large private balcony. Upon entering it you even get a glimpse of the ocean, though its charm is the view of the other pretty Victorian buildings in the neighborhood. There is plenty of room to relax on the balcony with rocking chairs to relax in morning, noon and night. The bedroom features a queen size canopy bed with a nice big flat panel TV at the foot, so you can watch 2 different shows at once, one in the bedroom, the other in the sitting room. The bathroom of King Edward is truly beautiful, featuring a 2 person whirlpool tub, marble floors, an incredible marble back splash for the shower, and heated towel bars. It even has a bidet! I guess I should also mention that King Edward comes with a parking space, which I know is important to some of our guests, especially in the summer. If you haven’t tried the King Edward room, then I think you should consider it for your next visit. It is a very popular room, so be sure to plan ahead for it. I mentioned in my lead off intro that I would be suggesting a couple of great Christmas gift ideas to you. I know you’d be disappointed if I didn’t keep that promise, so I’m sharing this first suggestion with you. Four words say it all. 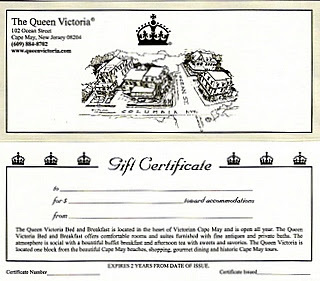 In the past I’ve gone on at great lengths, and with great humor (if I may say so myself), in explaining why a gift certificate to The Queen Victoria is the perfect gift. Quite honestly, if you’ve made it this far into our newsletter and are reading this, then you already know that it is true and no further explanation or “sell” is needed. Visit our website and purchase a gift certificate online, or call us on the phone at (609) 884-8702. It couldn’t be any easier! While we have seasonal discounts in all non-summer months, starting in November, we roll out our super discount programs. We have two different ones that are very popular with our guests. From November 1 through April 30, excluding holidays, the week between Christmas & New Years, and President’s Day weekend, we offer two nights in a standard room for $222 (plus tax), for reservations Sunday through Thursday evenings. The “222 Discount” can be expanded to a 333, 444 or even 555 for 3,4 or 5 night reservations. Upgrades to larger rooms are also possible, simply increasing the cost of the room by the incremental difference between the class of room chosen and a standard room. If you’re able to travel mid-week, this is a fantastic deal! Starting January 1 and running through March 31, the Winter Escape package features ANY two nights (including weekends) in a large standard room and a complimentary cheese tray and a complimentary wine tasting for $325 (plus tax). This is a great opportunity for those of you who are limited to weekend travel, and are looking to enjoy discount savings on Winter weekends. Like the “222”, upgrades are possible for premium rooms and luxury suites for the incremental difference between the class of room chosen and a large standard room. Hot Tip! Arrive on Friday, January 1st for two nights and enjoy the festivity of Christmas and the New Year at this super discounted rate! The town will still be hopping, the shops will all be open, and the tours will still be in full swing. 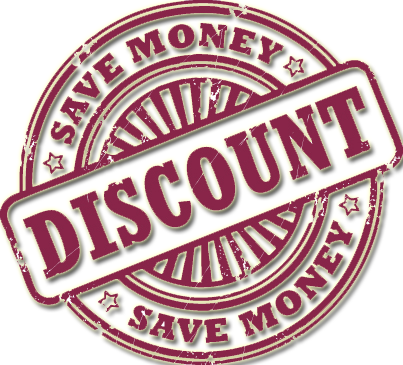 These discount packages cannot be combined with any other discounts or promotions. Third Party gift certificates (like bedandbreakfast.com) cannot be used for payment. There is no bad time to visit The Queen Victoria, and when you consider these great discounts, the cooler months of the year become very attractive. I hope you’ll be saving lots of money on your next reservation at The Queen Victoria. 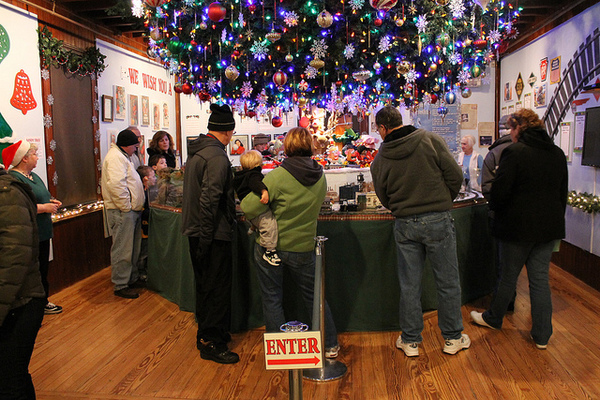 This is a picture of the Christmas exhibit at the Physick Estate in the Carriage House. Trust me, this photo does not do it justice. The feeling of this room is almost magical when you enter the room, and the table under the “tree” features the largest collection of “Dept 56” ceramic buildings that I have ever seen. I’ve heard that it is a complete set, meaning every building they’ve ever sold. It is truly impressive. The train running through the village completes the display, bringing it to life. Doesn’t everybody want a train running around the tree? Christmas runs right through the New Year in Cape May, so there is still plenty of time to book a trip to Cape May and The Queen Victoria to experience Christmas in Cape May. What better thing to do with a few days off between Christmas and New Years? Better yet, the calendar is working for you this year, giving you a weekend right after New Years Eve. With our lower Winter 2016 rates, it is a great way to economize and still experience it all that weekend! Every year dozens of our guests make The Queen Victoria their special place to celebrate Christmas. This year will be no exception. In fact we’re already about 60% booked for Christmas! For many, The Queen Victoria is a Christmas tradition of many years; the only place they’ll celebrate Christmas. For others, it is a great place to celebrate Christmas while their own kids are with the “in-laws” that year. The Queen Victoria has always been a great central location for families separated from each other to gather for Christmas (with nobody being responsible for hosting the gathering!). Whatever the reason you might be looking for a place to celebrate Christmas, I hope you’ll consider The Queen Victoria. It will assuredly be a relaxing, festive and beautiful experience for you. 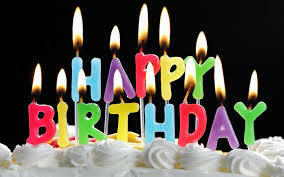 Every month during the Winter and early Spring we host a birthday celebration weekend at The Queen Victoria. If you or your loved one are looking for a fun way to celebrate your birthday, and an excuse to escape from the house and chores for the weekend, this is your ticket! It is always a fun afternoon, celebrated during Afternoon Tea. We bake a big birthday cake, we have gifts, we sing Happy Birthday to anyone that it applies to, and a good time is had by all. We won’t be checking IDs, so you’re welcome to participate and join in the fun even if you aren’t celebrating a birthday in that month. We are once again partnering with Cape May Winery to create a special event/package for true wine lovers. On February 27, 2016 The Queen Victoria® is hosting its annual “Wine Blending Challenge”. 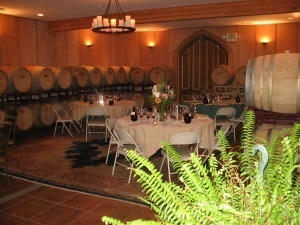 On Saturday afternoon, our participating guests will join us at Cape May Winery to craft the perfect blend of red wine. We’ll break up into teams of 4-6 people at a table laden with bottles of the various red wines right out of the barrel and trays of cheese and snacks. Each team will craft & document different blends, ranking them among themselves. Once each team has selected its “finest blend”, we’ll all break for a tour of the winery while the winemaker creates the blends we’ve chosen. Following the tour, we head back to the blending room and do a “blind” tasting of the chosen blend of each team. We’ll all vote on the best blend, which will then be bottled for us with a special “Queen Victoria Cellars” label. Each participant will get a bottle of the final blend (2 per couple), the labels of which will be customized with your names and the blending details. Anna Marie and I will be filling The Queen Victoria® dining room table with a wide assortment of cheeses from all over the world. There will be about 16 cheeses for us to taste and each one will have a write up about its origin, how it is made and any other fun tidbits of information. We’ll also have breads from one of our local bakeries along with an assortment of specialty olive oils and other tasty goodies. This event is held during Afternoon Tea time on Saturday at 4:00. Now I know that for some people it is impossible to eat cheese without having a glass of wine in your hand, so we’re welcoming everyone to bring their own wine and make an afternoon of it. The wine tends to become communal so bring something you feel comfortable sharing. The really good news is that this is a free event for all of our guests staying with us that weekend. Each March Singer Songwriter Cape May returns to Cape May, bringing with it an amazing lineup of musical talent. This March they’ll be featuring over 150 musical performances in 17 different venues all over Cape May. The event showcases Singer/Songwriters of all genres. The best part is that you can attend most of the performances for FREE! Last year one of the event’s perennially most popular performers, and a good friend of ours, Avi Wisnia (pictured here), performed an exclusive concert for the guests of The Queen Victoria. It was a great performance and a good time was had by all. We put out a nice buffet of hors d’oevres, many guests brought bottles of wine, and everybody enjoyed themselves immensely. Avi has graciously offered to perform for us again this year, so we’re doing it all again! On Saturday March 19 we’ll turn our regular afternoon tea into a concert reception. I know it is going to be even better than last year. I hope I’ll get to see you there (here). Once again, this concert is free for all guests staying at The Queen Victoria that weekend. Our very talented Interior Decorator, who happens to be my Aunt Nancy, delivered these new drapes for The Queen Victoria dining room back in September (there are so many new things here at The Queen Victoria, that I have a bit of a backlog sharing them with you). Not only did Nancy select the fabric and design the drapes and valances, she actually made them herself as well. We’re fortunate to have such a wonderfully talented woman in our family! I must admit I was skeptical about the floral pattern when she first suggested it. Not that I know the first thing about interior design, but I was afraid they would clash with our “trademark” wallpaper. Luckily, I was smart enough to agree with both Nancy and Anna Marie that they would look marvelous in our dining room. And they do! This room has really come alive with this improvement. It is now both richer and more comfortable at the same time. We also have a brand new rug under the table, which coordinates beautifully with the drapes. The whole affect is wonderfully inviting and comfortable. We couldn’t be happier with them. Wow, anybody who was smart enough to reserve a room with us last weekend (Dec 11 & 12) was treated to some truly phenomenal weather. It was so pleasant that Anna Marie and I couldn’t resist strolling down to the beach. We arrived just in time to catch the sun before it descended into the sea. What a memorable moment. I can’t guarantee views like this every night of the winter, but I can say with some certainty that we’ll get our fair share of beautiful sunsets for our guests to enjoy in the coming months. If you would like to end your day looking at this, give us a call and book a room this winter (or click here to book a room online). Remember, you have to go all the way to Sunset Beach to see this in the summer. OK, this is my last Christmas Gift suggestion. As you can see, this is a pretty impressive list, with something for just about anybody on your shopping list (especially if they love The Queen Victoria as much as you do). If you aren’t planning a visit to The Queen Victoria in time for Christmas, but still want to purchase any of these items, just give us a call. We’ll be happy to ship any of them to you for the additional charge of postage. There is nothing I love more than a good old fashioned American Free Enterprise success story. That is why I’m so excited to feature the Cape May Brewing Company again as a great idea for your next visit to Cape May and The Queen Victoria. First of all, the founders of the Cape May Brewing Company were spot-on identifying the opportunity to open a brewery in Cape May. They seized that opportunity by turning their home brew hobby into a start-up business with a leap of faith, a huge amount of courage, a commitment to a dream, and a lot of hard work. It really paid off. Three years later their beers are distributed in over 300 bars and they have grown tremendously. I love many of their beers. They make enough different varieties to insure that nearly anybody will find some they love (and some they probably don’t care for too much). They usually have 15-20 beers on tap at any time! I’m a particular fan of the Cape May IPA (India Pale Ale), which is consistently terrific. The Cape May Brewing Company is a cool place. It is very laid back and casual, open every day of the week, and features a lot of great tasting beers of many different varieties. They even feature their own root beer and other hand crafted sodas as well if one or more of your party doesn’t enjoy beer or alcohol. Due to New Jersey state law, they are not allowed to sell or serve food, but they do allow you to BYOF (Bring Your Own Food). Picture it … you’re sitting at the bar tasting some beers, you’re inspired to order a pizza delivered to the brewery, and you spend the rest of the afternoon happy in every way. I love that idea! (probably based on my memory of Sean Penn ordering pizza to his classroom in “Fast Times at Ridgemont High”). Next time you’re in town, especially in the non-beach season, looking for something fun and interesting to do, I suggest you make your way to the Cape May airport for a visit to the Cape May Brewing Company. It will probably be the first of many visits. I think it is pretty safe to say that Lucky Bones is one of the most popular restaurants in Cape May. It is easy to figure out why. Lucky Bones is a fun place to dine, with a great atmoshpere and the food tastes great. That’s a pretty powerful combination. Anna Marie and I rarely suggest Lucky Bones during the summer months, just because it is so popular. Now that the town is quieting down a little bit, we’re thrilled to suggest Lucky Bones for a fun night out. One of the things that we really love about Lucky Bones is the flexibility of both the menu and the servers. 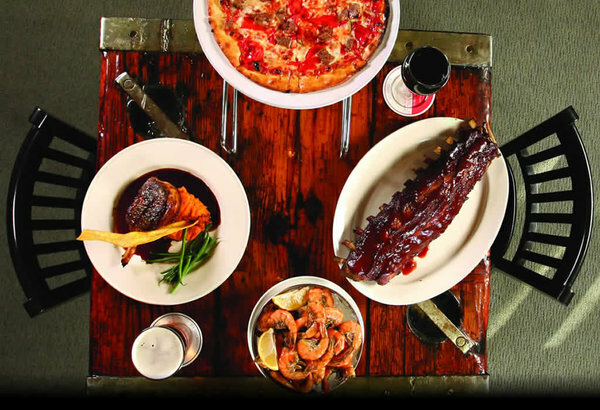 The menu ranges from appetizers, salads, sandwiches and pizza to incredible entrees. There is never any pressure to order a full entree, which is often a welcome relief to our guests who have been eating their way through Cape May for a day or two. Warning … don’t order the nachos thinking that you’ll be eating light (trust me on this). Lucky Bones does have a bar, so you can’t bring you own beverages, but their wine list is fairly extensive and reasonably priced. They also have a great line-up of beers, including some favorites from Cape May Brewing Company. Lucky Bones is owned and operated by the Craig family, the owners of the Washington Inn, which shows in the quality of the food they serve. It is a much more relaxed, casual atmosphere than the Washington Inn, of course. It is definitely a place that you can comfortably arrive in jeans and sneakers.